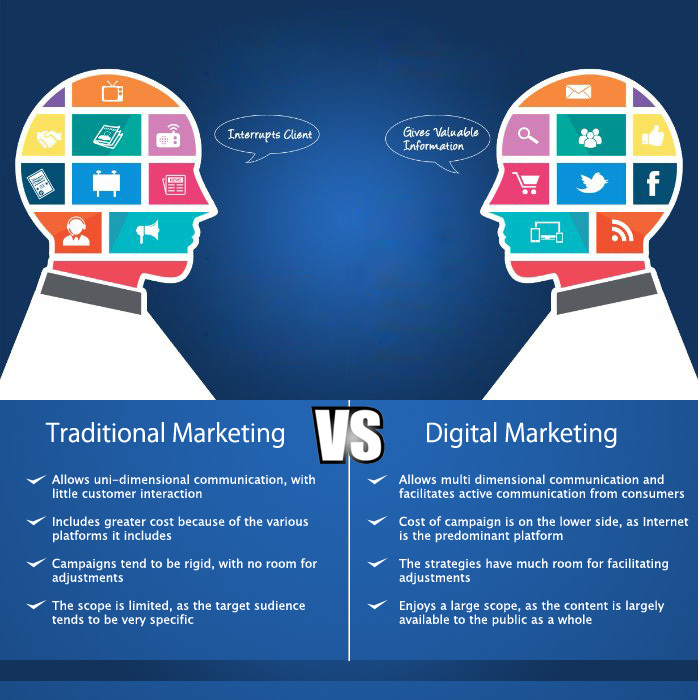 The debate continues as to whether digital marketing is overpowering and surpassing digital marketing or not. The current market trends showcase that digital marketing is gradually establishing its dominance in the field of advertising. For instance Newsweek, the magazine giant, entirely switching over to digital publication, is a significant example that portrays the influence of the digital medium in the marketing arena. Not only are the magazines going digital, much of our daily work, like banking and reading also relates to the online medium as well. This digital age calls for business entities to concentrate more on online marketing techniques and campaigns. 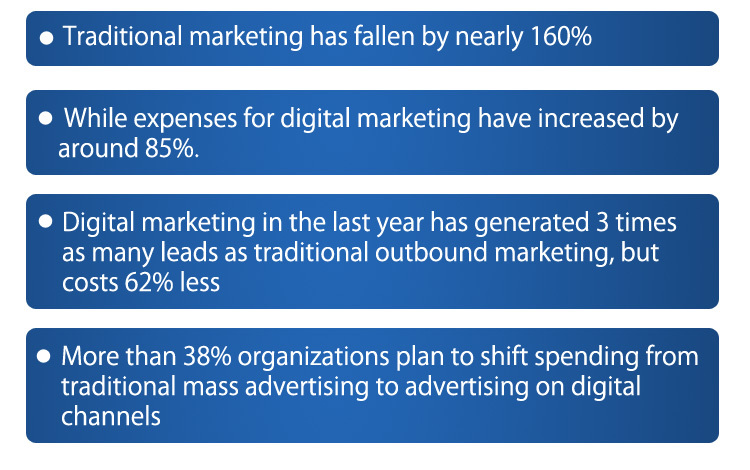 Though traditional marketing still has a place, its gradually diminishing in the digital world. Thus, businesses to achieve a cumulative growth and appeal to a global consumer base, it’s imperative for them to adapt to the growing digital trends and adopt digital marketing techniques. Previous: Foray into the World of Digital Marketing!